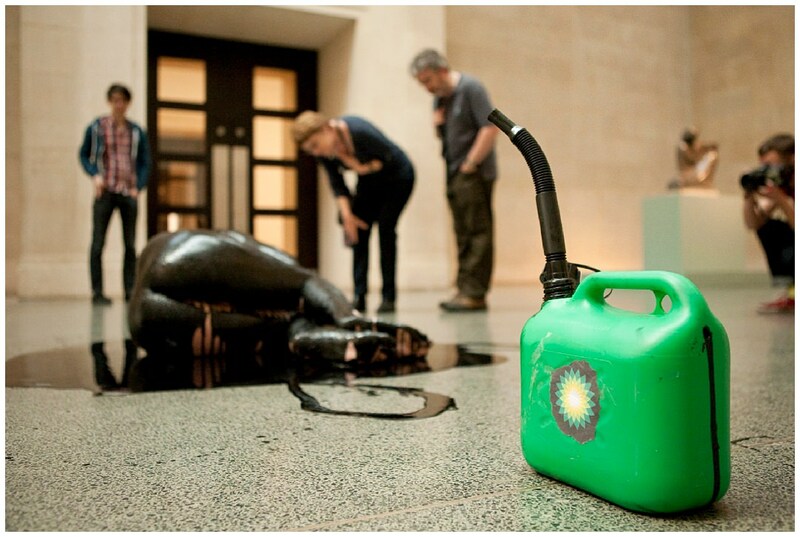 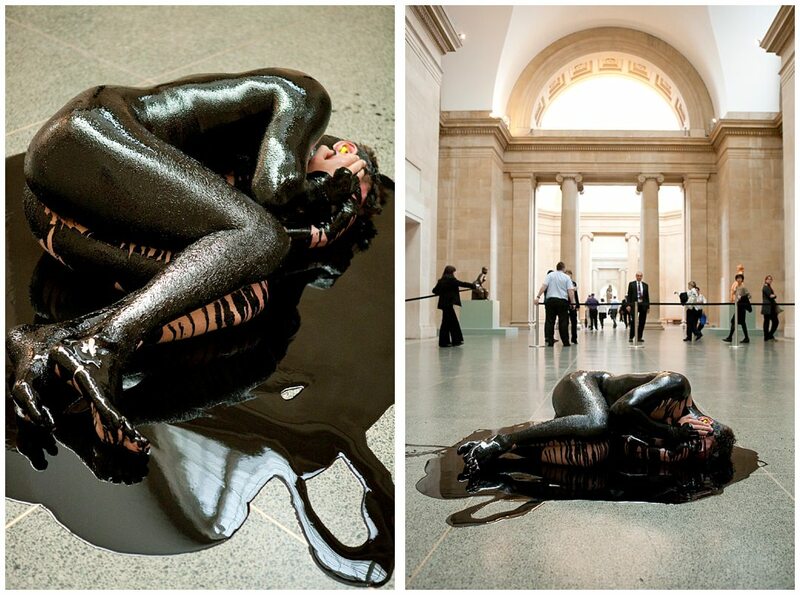 Artists from activist group Liberate Tate stage a performance in Tate Britain on the anniversary of the Deepwater Horizon explosion that killed 11 workers and released 4.9 million barrels of oil into the Gulf of Mexico. 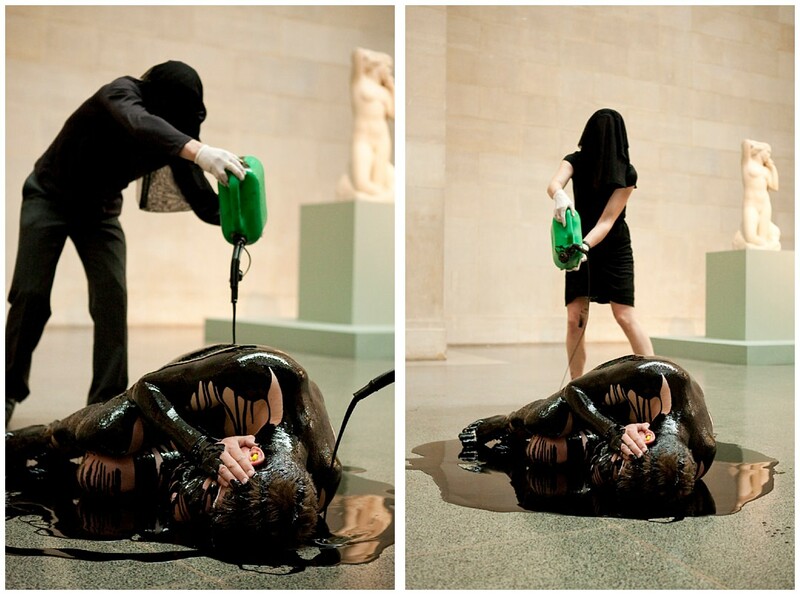 A naked member of the group has had an oil-like substance poured over him by silent figures dressed in black and wearing veils, and is now lying in a fetal position on the floor in the middle of the exhibition Single Form. 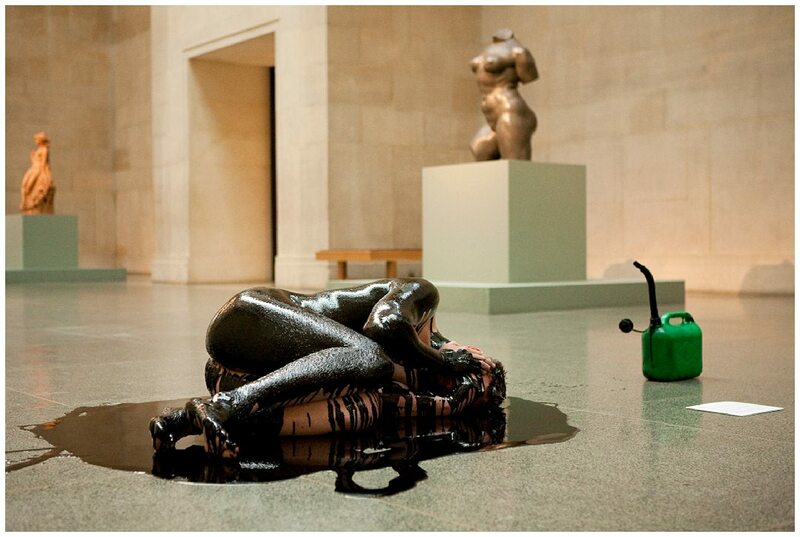 Dedicated to the human body, Single Form is one of a series of ‘BP British Art Displays’ staged throughout the galleries of Tate Britain. 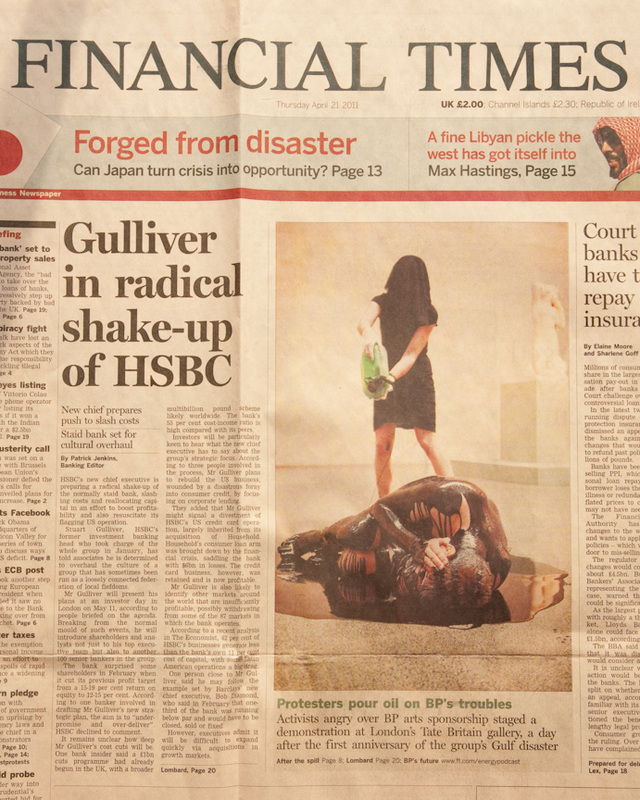 Images were picked up by the Telegraph, Bloomberg, the London Evening Standard, the cover of the Financial Times.